The A-Series are heavy duty closed structure, high rail gantries for large work envelopes. The moving bridge structure with a wide range of optional components, allows the user to machine various sizes of large work pieces, while ensuring high cutting speeds, high precision and a smooth surface finish. Different mechanical alternatives and component sizes are available to grant the requested tolerances and performances, over different materials and sector standards. 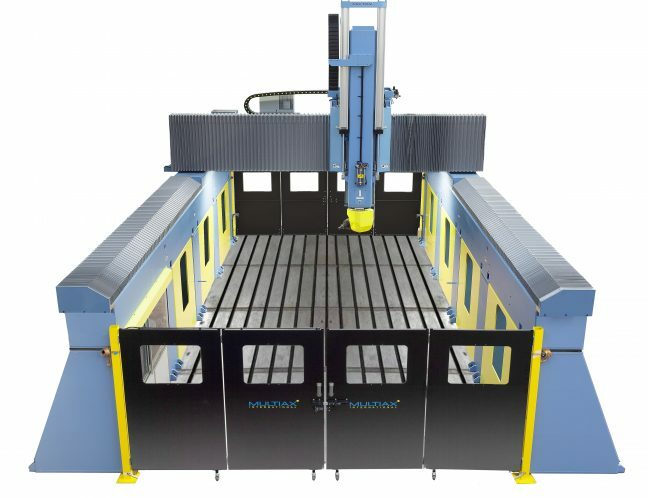 Applications for this type of machine are typical of the aerospace, automotive, wind energy, and marine industries or cross-sector model, pattern and mold makers. Typical materials to be machined are: composite materials, resins, epoxies, tooling boards, FRP’s, aluminum and other non-ferrous alloys.